Continue east to delightful and diverse Butler County. 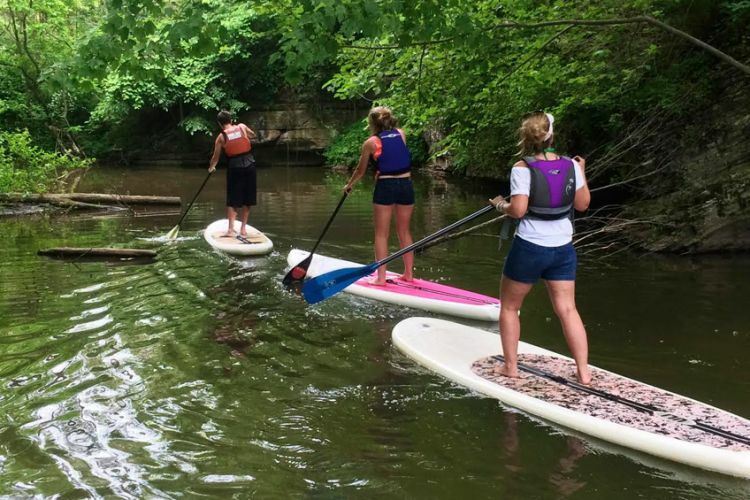 As you travel along Route 422, you’ll be surrounded by the beauty of Moraine State Park which offers biking, hiking, stand up paddleboarding, kayaking, fishing, picnicking, sailing, geocaching, scheduled pontoon cruises and much more. If you head south on I-79, you can explore some of the county’s charming small towns - Harmony, Zelienople, Evans City and Mars. Each has unique history, quaint shops and tasty eateries. At the other end of the spectrum is Cranberry Township, a bustling area packed with shops, restaurants, plenty of top-notch hotels, and easy access (20 minutes) to Pittsburgh. Head back east on 422 to check out our newest addition in Butler County. You know the feeling you get after tasting a cold, draft beer? Now imagine being able to try a variety of craft beers made locally! Introducing the Butler County Beer Circuit - a listing of the local breweries within the area. Here you will find the Brew Pubs that create the beverages we know and love along with highlights and special features throughout the year. No matter which part of the journey you find yourself tired, there’s always a scenic campground, cozy bed and breakfast, or comfortable hotel nearby. 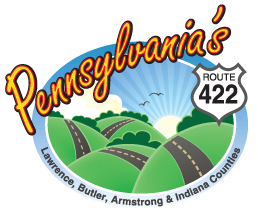 Complete your Route 422 excursion in the unique and beautiful Indiana County. Home to the Ghost Town, Hoodlebug and West Penn Trails, it offers 64 miles of Rails to Trails bike riding and 18 miles of single-track mountain biking. Couple that with the many fairs and festivals for a great outdoor getaway. Attend two of the newest outdoor concerts: Westsylvania Jazz & Blues Festival and the Northern Appalachian Folk Festival held in the summer and fall. Indiana is the hometown to Hollywood icon Jimmy Stewart and his museum displaying memorabilia from his military, personal and Hollywood career. Relax and enjoy fresh crafted beverages at one of our new microbreweries, artisan distillery or local wineries. Just off 422, is the Smicksburg Amish area where visitors can shop for primitive crafts and share the road with horse-drawn buggies. History buffs will enjoy a stop at the Underground Railroad or one of our four covered bridges. Stay overnight in a charming B&B, full-service hotel or campground. Discover all of this in the Christmas Tree Capital of the World! 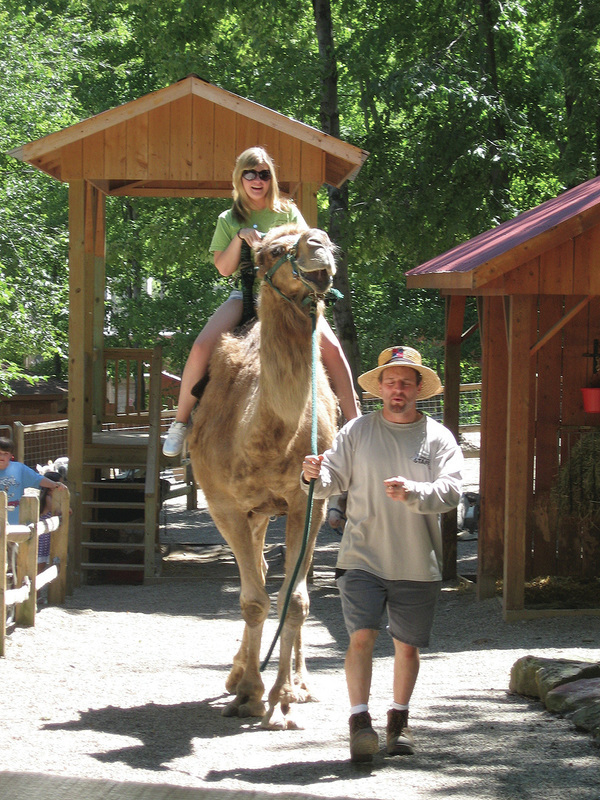 Get the ride of your life on a camel at Living Treasures “WILD” Animal Park. SurfSUP Adventures stand up paddleboarding class at Moraine State Park on Lake Arthur. 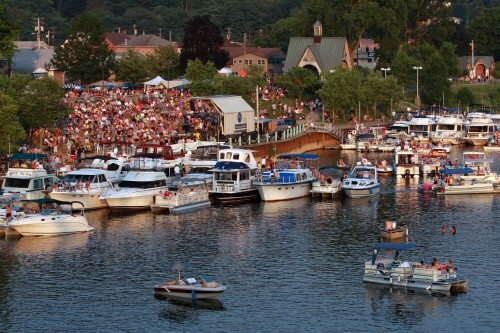 Concertgoers on the Allegheny River in Kittanning, Armstrong County. 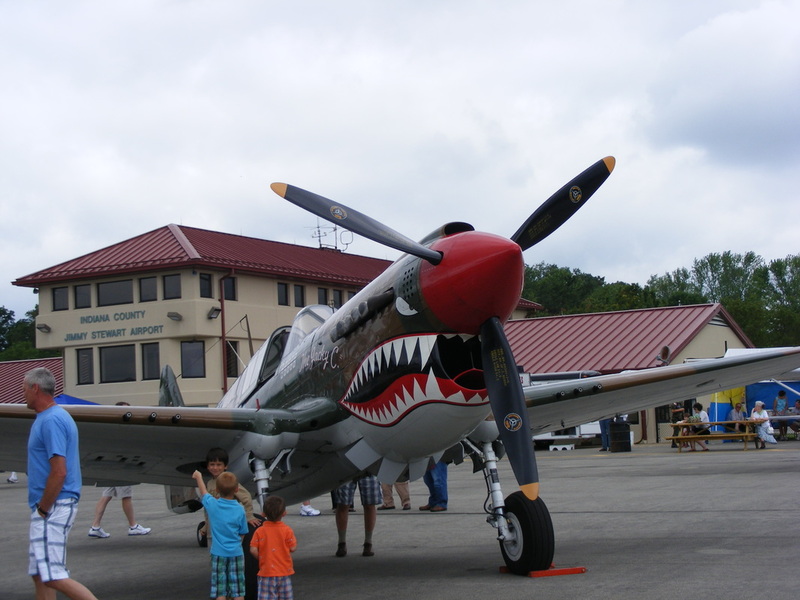 Visit Indiana County for the Jimmy Stewart Airport Festival. Enjoy displays of vintage and military aircraft, entertainment, food booths and experience an open cockpit ride.